An authority on eclectic delicacies, and with an enjoy of over twenty years. 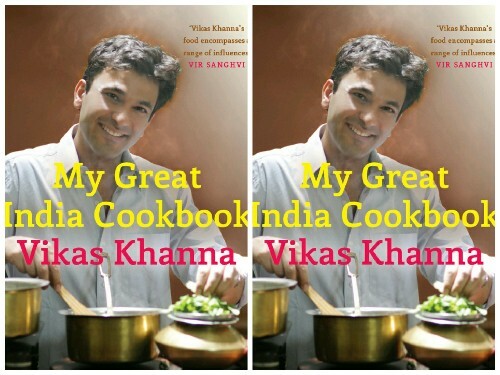 Chef Vikas Khanna brings together the most delicious recipes from his travels across India From Bharwan Murgh to Parda-Nashin Kebabs, Surat Patra to Fanasachi Bhaaji, and from Shiraz' Pulao to Bepachya Roth, there are recipes to in shape every palate and desire Celebrating the richness and sort of Indian cooking, Vikas stocks specific recipes for delectable starters, hp-smacking chutneys and achars, and mouth-watering cakes made on unique occasions. With greater than 130 smooth-to-put together recipes and coronary heart-warming anecdotes from the farthest corners of India, the Michelin superstar chef takes you alongside in his culinary adventure from Kashmir to Kanyakuman, from Rajasthan to West Bengal you are sure to enjoy the identical magic that he felt as he placed the recipes collectively, one beautiful place at a time. Vikas Khanna is an award-winning Michelin Star chef, restaurateur and filmmaker. He studied at the prestigious Welcomgroup Graduate School of Hotel Administration, the Culinary Institute of America, Cornell University, New York University and the esteemed Le Cordon Bleu, Paris. Vikas is one of New York's top-rated chefs and was awarded the Rising Stars Chef Award by Star Chefs in 2011 He started the famous documentary film series. Holy Kitchens, featured as a judge on the second season of MasterChef India and appears on television regularly. Vikas is the author of The Spice Story of India, Modern Indian Cooking and Flavors First.